There are a number of things to do before you set off in your motorhome or caravan. Known more commonly as pre-journey checks, they help to ensure a safe, secure and incident-free trip. We all know that pre-journey checks are essential to a smooth holiday, but this month we wanted to find out which check you see as the most important. One option not on the list was insurance which both Dave and Colin agree is important, “Breakdown insurance and travel insurance are my two priorities,” says Dave. Want more advice on essential checks? 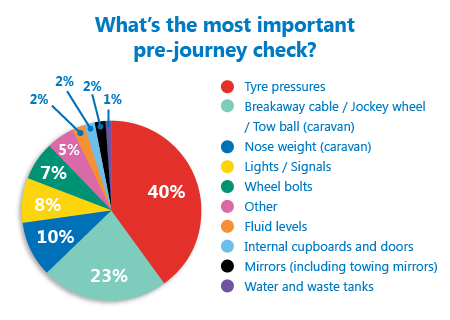 Download your very own pre-towing caravan checklist here. We’ll have a new poll for you to get involved with shortly.